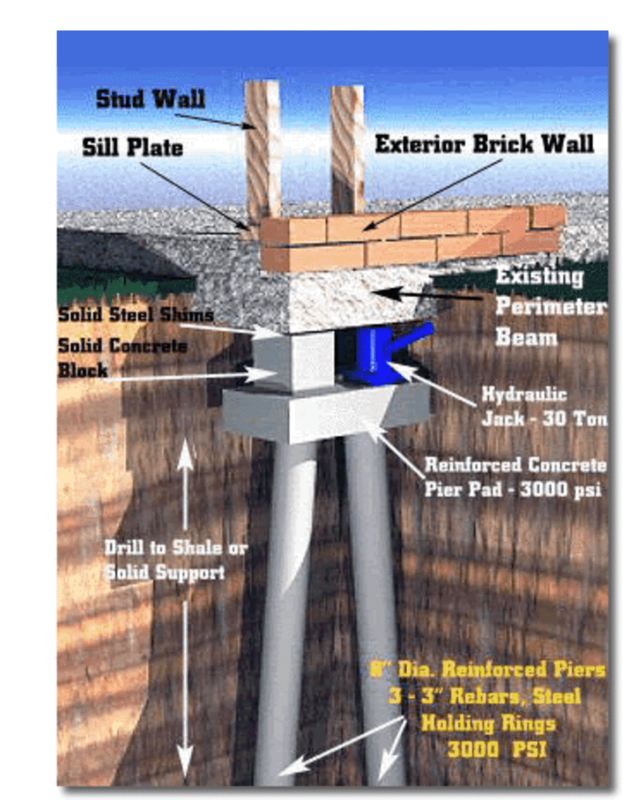 Foundation Piering Systems | Premier Foundation Repair, Inc.
After 30 years and thousands of foundation repairs in Dallas you can rest assure that our piers will fix your foundations problems. In fact, we give a transferable warranty with every job we complete. We offer two different piering systems to be sure we have the best foundation repair solutions for our customers. The DynaPier® is our top of the line home foundation piering system. The DynaPier® is one of the only piering systems that combines both concrete and steel, to create extreme strength. The DynaPier® is the deepest pier avaiable. We drive the pier all the way to bedrock or load bearing strata. This means it will provide the greatest support. 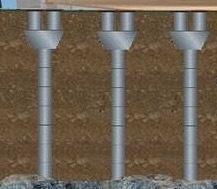 Also the DynaPier® is concentrically loaded which means it is installed directly underneath the home’s footing. A couple of key benefits to this include, there is no drilling into your foundation to install it. Piers that are bolted to a home’s footing require drilling into the footing which can compromise the structural integrity of the foundation. Also, the load of the house is transferred directly to the pier in a single axis which alleviates points of failure. Learn more about the DynaPier® here. We install double (8″) shafted piers. Average pier depth is 9′-12′ deep depending on the conditions. Pier excavations are reinforced with steel rebar and filled with concrete. After the concrete has been allowed to cure we can begin lifting the foundation. See the diagram at the right for detailed specifications of the pier. Engineers recommend them for foundation repairs in Dallas, we build them. Premier Foundation Repair Inc. is the leader of full service foundation repair companies in North Texas. Our services include concrete slab repair, mud jacking, pier and beam repair, drainage systems and root barriers. Pressed concrete piers are carefully driven into the soil until point of refusal. Driving a pier into the point of refusal is reaching a depth that the cylinder encounters sufficient resistance to prevent the pier from driving any further. Refusal in the Dallas/Ft. Worth metroplex could be caused by either compressed clay or rock.